A beginners guide to Raft, including basic gameplay, finding resources and how to stay alive. Located at the bottom on the screen, the hotbar is where your main 10 items are kept to allow ease of access using the scroll wheel or the number keys. It is a good idea to keep items here such as a grappling hook, spear, paddle, fishing rod, food and a cup for fresh water. An axe is also recommended to keep here however its a later used item. Found to the left of the hotbar, actions such as paddling, sprinting or building rapidly declines your hunger and thirst. Having cooked fish with you is always a good idea, as well as having a cup of fresh water or access close by. 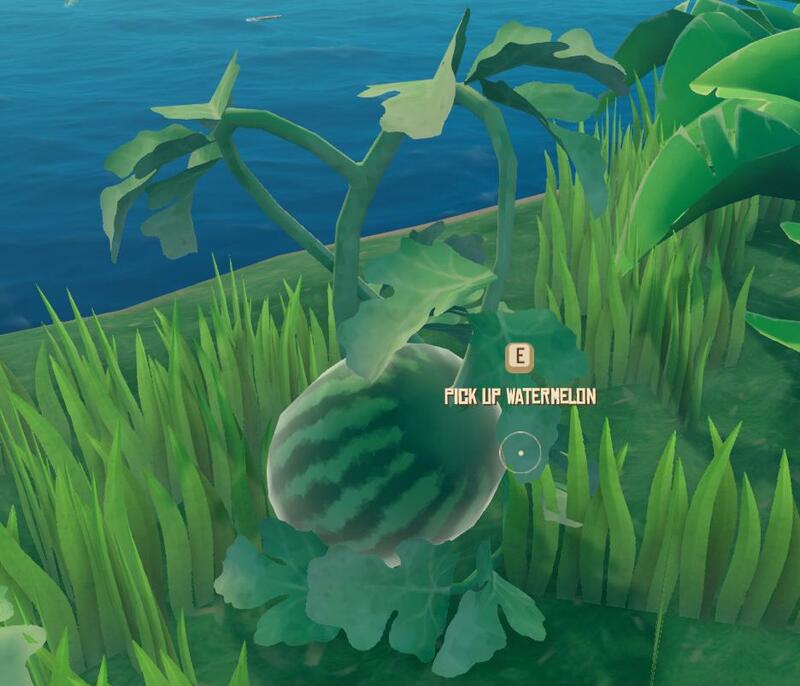 When you first spawn, it will be on a small 2x2 raft with a grappling hook. The hook is used with the left mouse button via holding it down to throw farther away then holding it down to reel it in, collecting items on the way. It is highly recommended that you do not jump into the water yet for two main reasons. the first being that the raft will float away from you, and can become difficult to find especially if it is raining or the waves have increased in size. 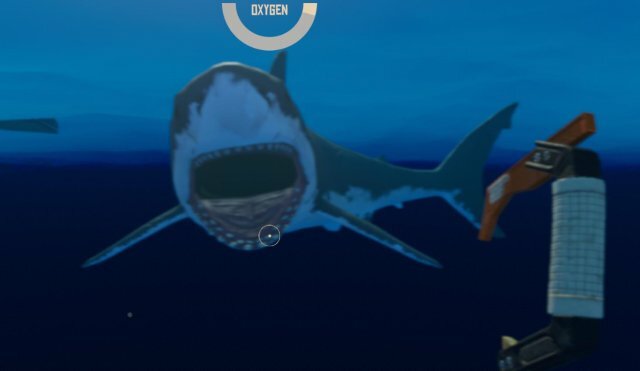 Secondly, there is a shark that constantly follows you (respawns after killing it) and will not hesitate to attack, dealing around 1/3 of your health per bite. Collecting resources is the upmost important thing to do as the next step is crafting a 'building hammer' to create a foundation, allowing more room on the raft. 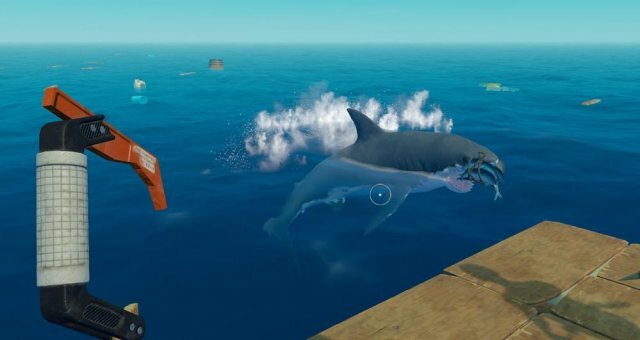 As well as this, the shark will eat your raft one bit at a time unless discouraged with a spear, so the bigger the foundation, the better. To access the crafting menu, press TAB, then click on the desired icon/name of the item that you want to craft. If you have all of the resources required in your inventory (doesnt have to be in the hotbar), you can hit the 'craft' button and it will fill the next available slot in your inventory/hotbar. Here is an example of what will happen if you take a plunge into the ocean. Your hunger and thirst decreases overtime, more so if you are doing an action like paddling or building. There are different ways in which to quench your hunger and thirst, including fishing, growing food, foraging food and boiling sea water. Rope is made from 2 palm leaves which are found floating the ocean. 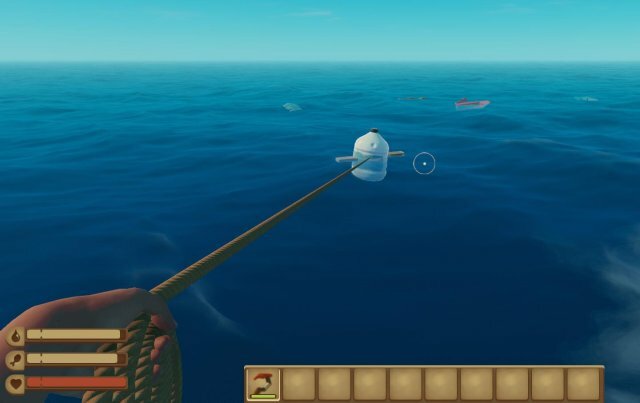 To use the fishing rod, equip it to your hotbar and hold it in your hand. Aiming towards the ocean, hold down left mouse button and release when circle is full (or nearly full - doesnt matter how much). You will have got a bite when the fishing line starts to move and it prompts you to press the left mouse button. 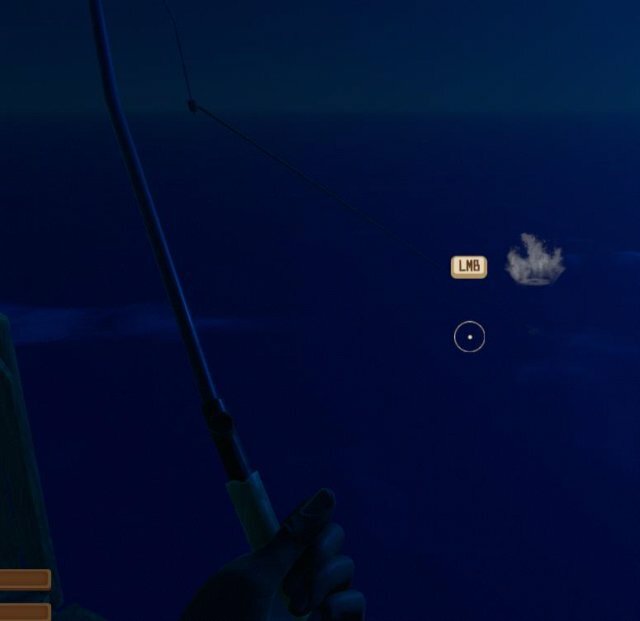 Quickly do so and the fish will be caught and in your next available inventory slot. 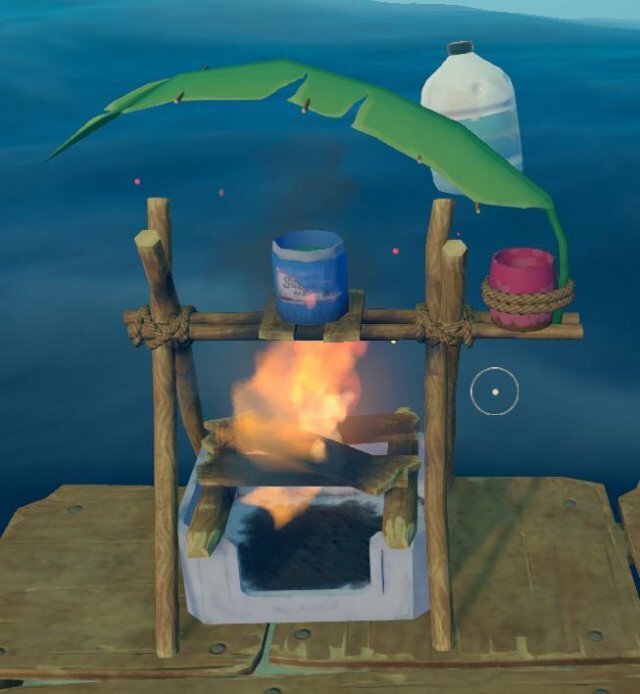 From here, you can either eat the fish raw (if youre desperate for food) which will decrease your thirst bar by about 1/4 - 1/3, or cook it on a grill. Not all fish will fit on the smaller grill, so should either be stored or thrown away till they can be used. 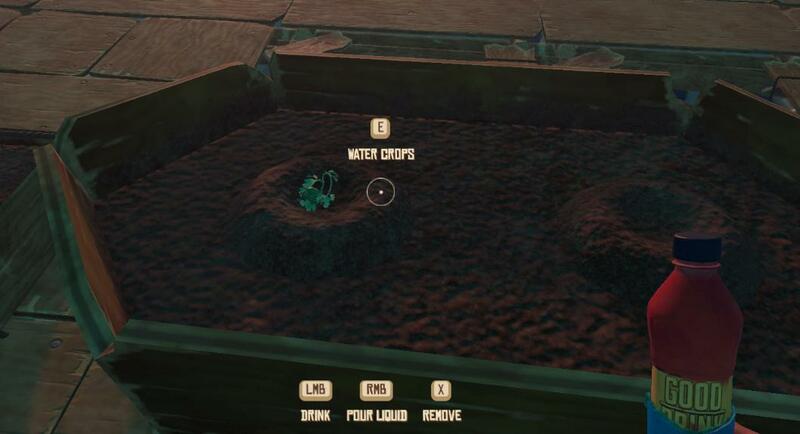 To grow your own food, you will need a planter, which can be crafted in either small, medium or large depending on what you want to grow. Each seed will say what planter it must be planted into, for instance, the 'palm tree seed' fits into a large plot. 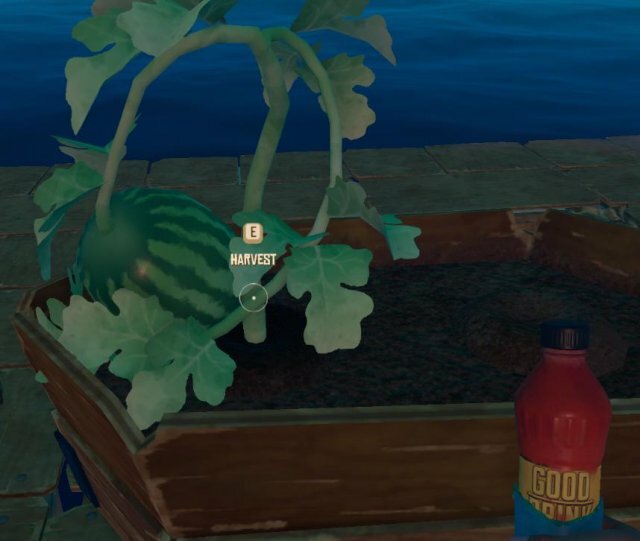 You can also use an 'old shoe' as a small planter, which can be fished up using the fishing rod.As like any plants, they will need water, so you will need to use a water bottle that is full of fresh water. Seagulls now become a nuisance as they will try and eat your growing crops. To scare them away, you can create a scarecrow, but until you have the resources, you will have to chase them away. Every now and again you will stumble across an island. 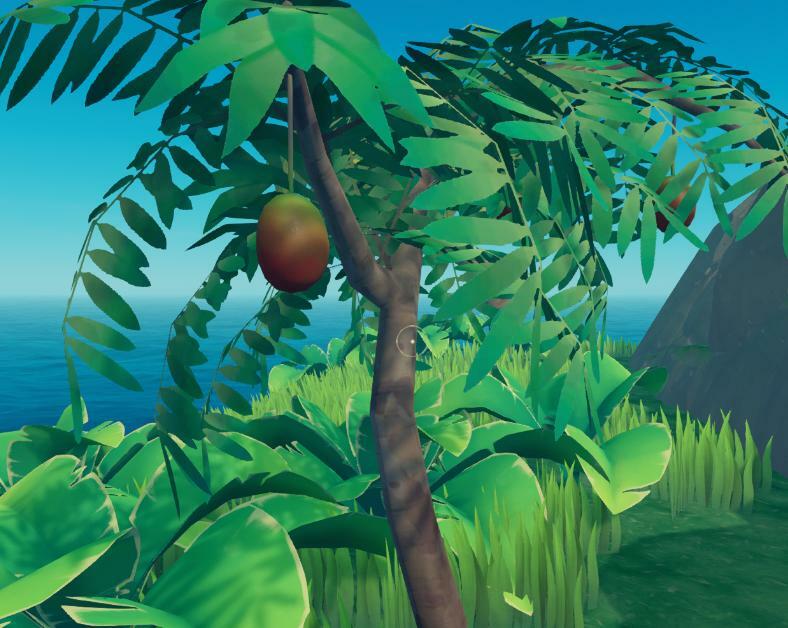 Some of these islands have foragable food such as watermelons, mangos and coconuts. Depending on what food you come across, you may have to have equipment prepared. Watermelons and pineapples are the simplest to harvest as you only have to interact with them using the 'e' key, whereas mangos and coconuts have to be cut down from the palm trees using the axe. Islands can be tricky to get onto so its recommended that you first build a set of stairs on the side that will be the closest to the island, allowing you to jump from the top of the stairs onto the island. Water might be one of the most important things to keep an eye on as once youre at that critical stage of dehydration, it can be difficult to save yourself from death. It also requires a cup or a bottle to fill and drink from. Once a cup or bottle has been crafted, you can take it to the ocean and press 'e' to fill it with salt water. Then take it to the purifier and press 'e' once again to place it. You will need to place a few planks of wood underneath the cup to allow a fire to burn and the water to be filtered and fresh. Once the fire goes out, the cup on the right will be full, allowing you to fill your cup or bottle with fresh water by pressing 'e' on it. The other purifier doesnt require planks to burn, and makes several cups of water at a time, however is difficult to craft as it requires 4 glass. 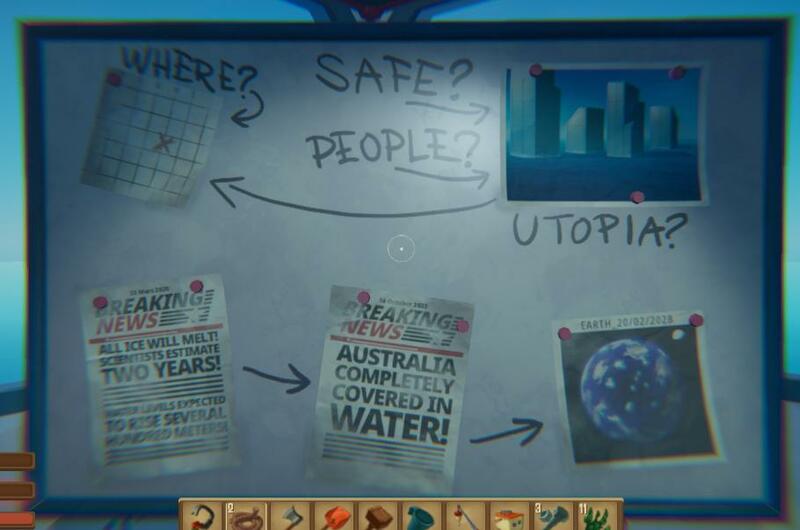 Researching is going to help you develop both your raft and your ability to survive. 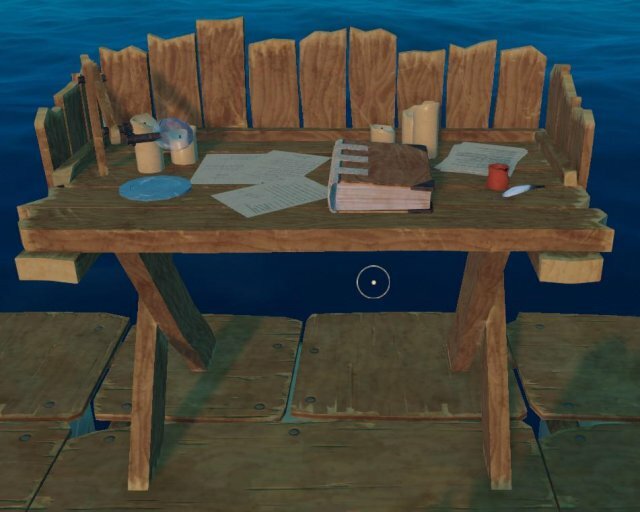 The research table allows you to build slightly more complex structures like breathing equipment for longer underwater voyages, advancements on makeshift tools and the creation of electronics used for finding the unknown. Once all electronics has been learned, crafted and set up, you will be guided to an abandoned oil rig with a whiteboard holding some crucial information on why you might be on this raft and why there is nothing left but small islands. It can be accessed using the book on the table. To start researching something, you can put one of the required items from the desired researchable item into the table, and once all the items that are needed have been placed into the table, the researching will be complete. Also, sometimes, barrels will give you blueprints, which you can place into the research table and learn a new item/structure. 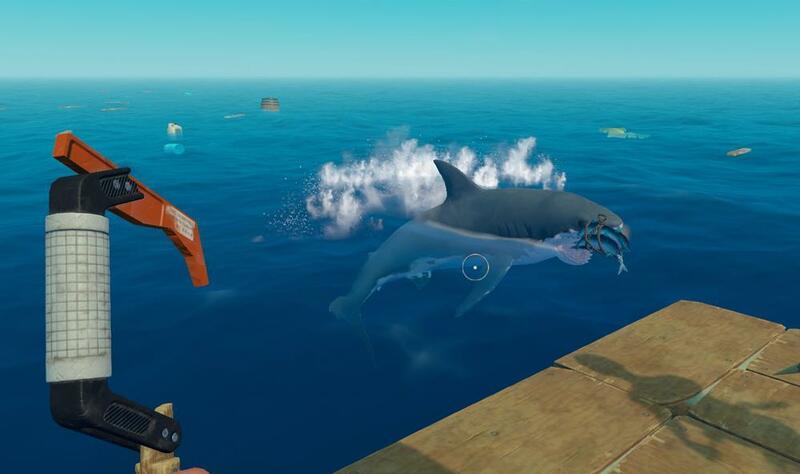 The shark can become very annoying throughout the game, whether its eating your raft or biting your bum when trying to gather resources. There is no way to stop it from following you constantly, however there are ways to prevent the attacks. 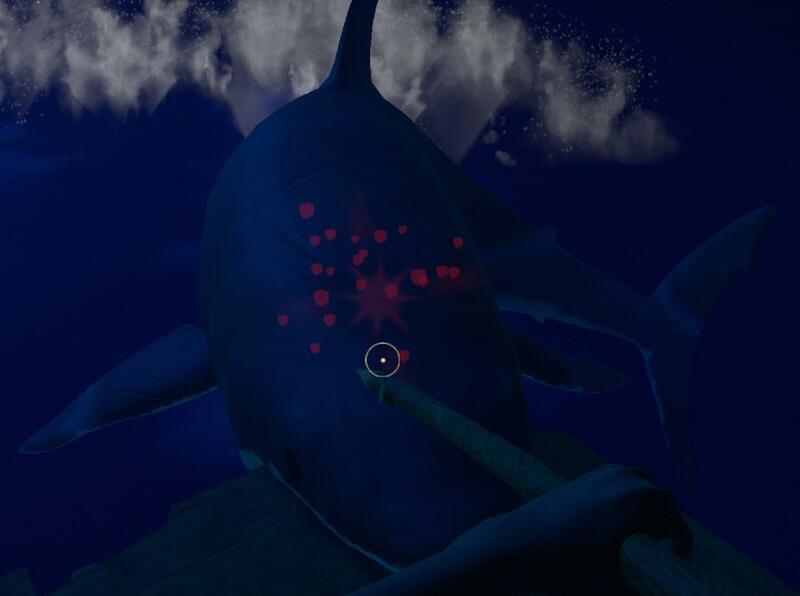 To prevent the shark from completely breaking one of your foundations, you can use the basic wooden spear against it by stabbing him 4 times. 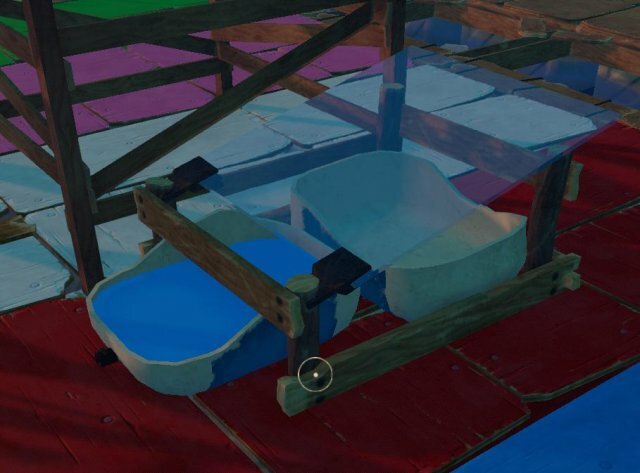 This will make it let go of the raft and let you fix it up with a few planks using the 'building hammer' instead of replacing the whole thing. If you use the upgraded spear instead, it only takes two hits before it backs off, leaving less damages to deal with. Once crafted, it can be thrown into the water as near or as far from the raft as you like by holding down the left mouse button. The shark does tend to break this fairly quickly (around 10-15 seconds) if not bothered. However if you, or a friend, stabs it everytime it goes for the bait, it will swim away and go back for it again. This does increase the chances of it choosing you over the bait though. 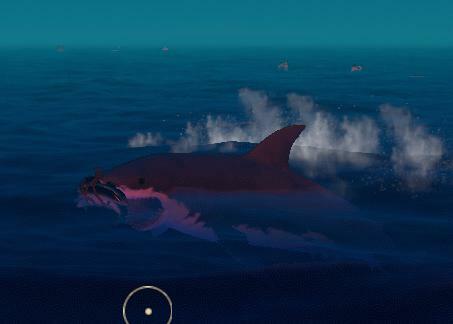 I find it better to put the bait closer to the raft so when the shark comes, i can stand on the raft and hit it whilst not being near the deadlly jaws. Some resources are limited to underwater only, meaning at some point, you will have to enter the darkness with the shark lurking around. The best place to do this is right up against an island or the boulders that stick out from the water. Here it is shallower, allowing for more time underwater and quick access to the raft if the shark comes for you. When gathering resources from underwater, you will need to take your grappling hook. For the basic one, it will take 3 hits to break an item such as rock or metal ore whereas the upgraded one only takes one hit. Some of the main things that you can find underwater are sand, clay, giant clams, sunken crates, metal ore and copper ore.
Its crucial not to forget to have an anchor on your raft to ensure it doesnt float away. The basic one is non-reuseable so will have to be crafted over and over again whereas the more expensive one can be used as many times as you like. To allow for longer underwater exploration and faster swimming, you can learn and craft the makeshift fins and oxygen tank. This is learned from the research table and is one of the most helpful items in the game (currently) as it auto collects floating objects and stacks them up, awaiting to be collected with ease. It is placed next to a foundation and is best built by making a line of them on the front of the raft/whichever direction you are moving. 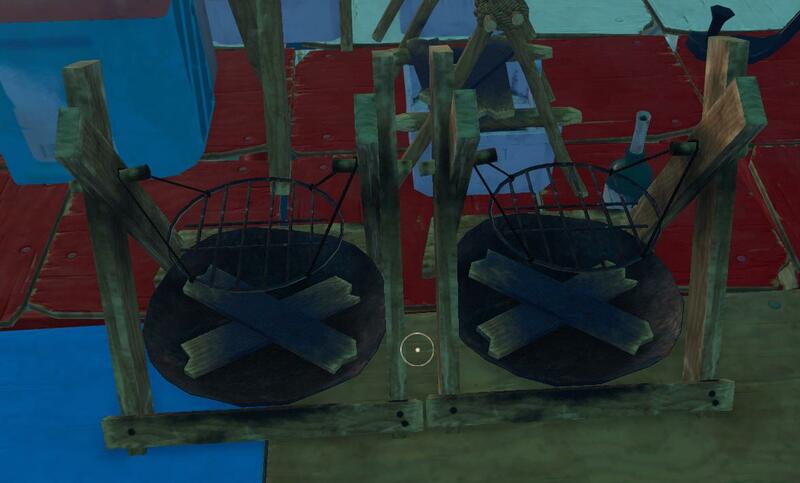 They can be picked up by holding 'X' and replaced onto another side if your direction changes. This spear can become both a life and raft saver compared to its wooden cousin. Dettering the shark only takes 2 hits rather than 4, meaning your raft will have taken less damage and if youre caught out whilst exploring underwater, you may just get out alive. This can be found in the research table. The scrap hook is a must-have. It has a rapid reel-in time as well as the ability to 1 hit resources. It can be thrown out 1/3 more than the length of the plastic hook and have a higher durability rate. It has become helpful in several occasions where barrels and other required resources were floating past the raft and needed to be quickly grappled. When the host saves and leaves the game, anyone who was in the game with them loses their items. So far, best fix for this is to put all items into a storage box. Many of the islands are quite difficult to get onto, and even when onto the island, there are parts that cannot be reached. In multiplayer, you can jump onto and stand on your friends heads, allowing you to get to them hard to reach areas. To move the raft, at least one person needs to paddle (unless you have a sail). With more than one person paddling, the speed increases dramatically, allowing for faster travel. If you die and respawn, all the items you had on your character will be lost and are not able to be re-obtained from your body. In multiplayer however there is still a chance of living. A friend may carry your body and put you into a bed or hammock which will wake you up with 1/4 food, water and health.